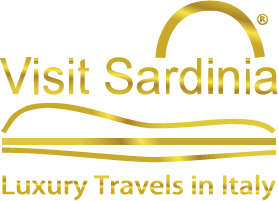 Visit Sardinia® is an Italian InBound Tour Operator & DMC, based in Sardinia, specialized in international tourism, marketing and tailor-made travel to Sardinia island and Italy. Visit Sardinia® provides accommodation in the best hotels, resorts, villas and apartments in Sardinia and Italy. We are experts of all the properties we advise to our clients. Visit Sardinia® provides luxury service to the clients who come to Sardinia and Italy. Private transfers and tours, personal assistance, flights, yacht rent, wedding, events, MICE. Visit Sardinia® is a professional local expert of the destination. We create exclusive travel and service for private clients, groups and companies, travel agencies and tour operators. We are always at your disposal. Our staff is travel professionals with the experience in marketing and sales, and experts of the destination. We give our clients and partners all professional advisers, personal service and best support for the travel and cooperation. Here you will find the best information and advice about Sardinia: your perfect accommodation and places to visit, recommended restaurants and best local cuisine, where and when to go and what to do, exclusive guided tours and special programs. We organize your special event on the island: wedding, honeymoon, birthday party, wellness, sport, yacht charter. Special programs for business travel and companies. We speak your language. Visit Sardinia with VIP – Very Interesting People! We are Roberto & Natalia – founders and owners of Visit Sardinia®, official brand and international InBound Tour Operator & DMC in Sardinia island and Italy from 2009. Our company is working in a tailor-made and luxury travel, creating special exclusive holidays, tours and trips to Sardinia, the beautiful island in the heart of the Mediterranean, well-known for the crystal-clear sea and breathtaking nature, ancient history and traditions, unique cuisine, and longevity. We are so glad to welcome you in our native land and share all the senses and special mood of our island, the best way to explore the true Sardinia through locals and destination experts. For our guests, we book accommodation in the best hotels and resorts, offer restaurants choice, food and wine advice, our services as transfers, personal assistance, and yacht rent. We create exclusive tours and events dedicated to the couples, families, food and wine experience, fitness and wellness, honeymoon and wedding, corporate travel. Every guest is a VIP! Welcome to Sardinia! Benennidos in Sardigna!